Straw Dogs font here refers to the font used in the poster of Straw Dogs, which is a 2011 American psychological thriller movie based on the novel The Siege of Trencher’s Farm by Gordon Williams. The movie title in the poster was probably designed based on Compacta SB-Black. The font is a commercial one and you can view more details about it here. The Compacta font identified above is not available for free, please follow the link above and purchase the font. Meanwhile, you can take a look at our collection of fonts for cars, pop music and apparel as well as round-ups of new & fresh fonts around the web. 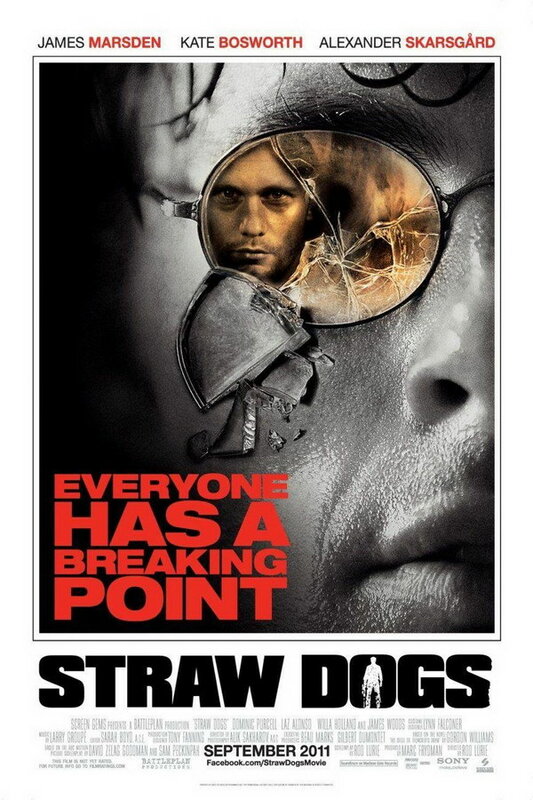 In addition to Straw Dogs, Compacta typeface is also used in the following logos, movie posters or album covers etc., including: Dirt: Showdown, The Last of Us, Harley Davidson, Hell’s Highway, Earned in Blood, How to Train Your Dragon, Pillowtalk (Zayn), Testing (ASAP Rocky), Lego Dimensions, Pitch Perfect, Pretty Woman, Harry’s Law, Gazprom, Road To Hill 30, Wild Wild West.